Feeling very much like Sporty Spice in today’s look. Her tracksuit-packed aesthetic is feeling more relevant today, thanks to the huge athletic wear trend that we’ve been seeing this season. Anything from white sneakers, Adidas, sweatpants and beyond, there’s no denying that work-out wear is huge this fall. 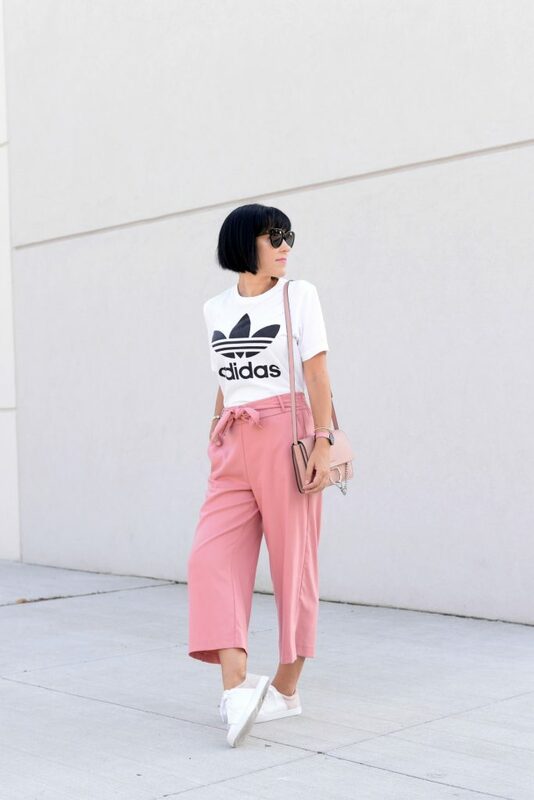 Culottes have been trendy for the past few seasons and it doesn’t seem to be going anywhere any time soon. 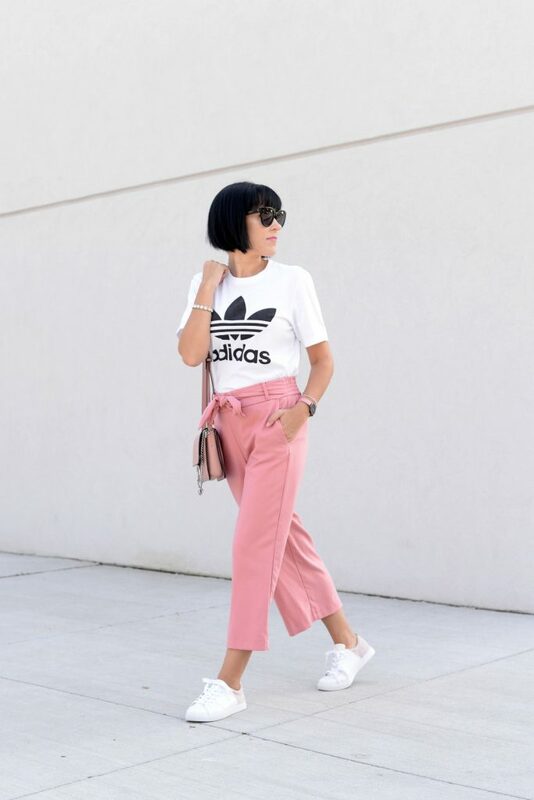 If you’re not looking for that full-on sports trend, then feminine pants are an easy way to achieve the same laid-back feel, without looking too much like Mel C. You can just as quickly turn them into a chic look for evening by tossing on a killer pair of heels.. You can style them for a dress night out or a casual weekend brunch. Culottes are not only comfortable, but super easy to wear and style. 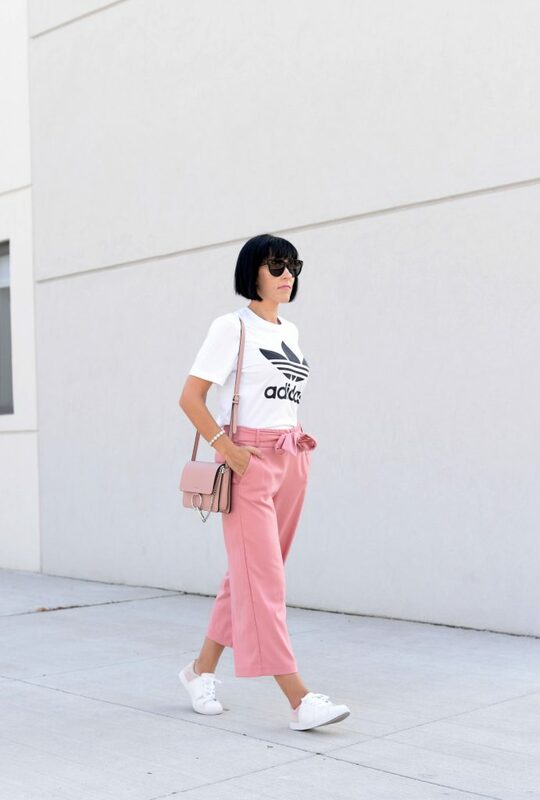 Cropped trousers, gauchos, palazzo pants, culottes, whatever you want to call them, should be at the top of your shopping list for that Sporty Spice vibe. 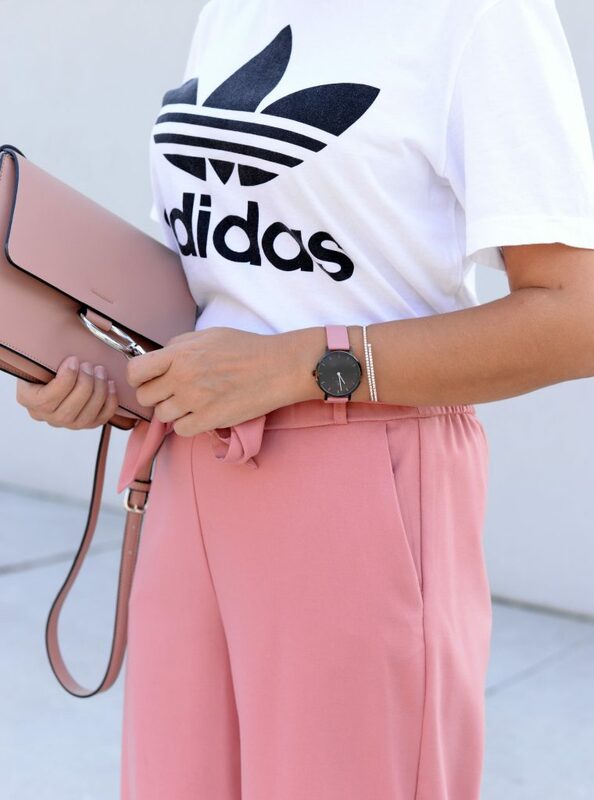 Styling culottes can be a bit tricky to style, just remember about portion and balance. Have fun with prints and don’t be afraid to look for bold patterns and textures. Keep your shirt and accessories classic and neutral and you’ll have a quick and easy, go-to look for summer. Culottes can also be a chic alternative to a traditional little black dress, just toss on with a lace top and statement pumps and you’re ready for a night on the town. 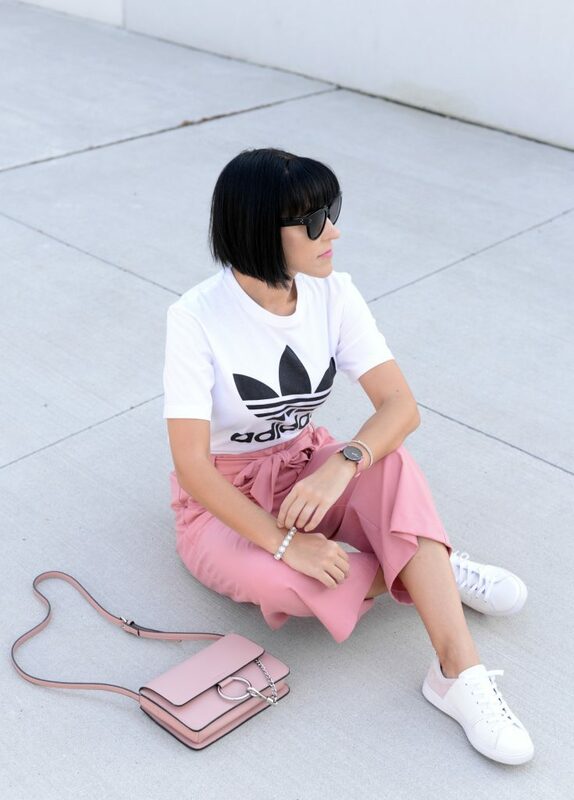 Culottes can be an excellent way to achieve that ever so fashionable monochromatic look. Match sets or a top and bottom in the same colour hue provides a bold statement without trying too hard. For a laid-back, weekend look, pair them with a basic tee and sneakers for an instant sporty vibe. 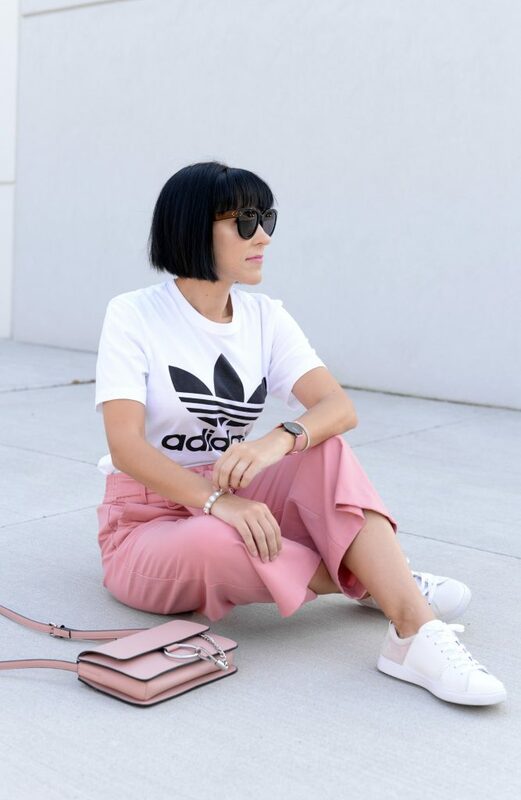 These are just a few of the ways you can style culottes.